I live by this conditioner! This has, and probably will be my favorite brand and type of conditioner. Effectiveness It has changed my hair forever. My hair hasn't ever been this soft, strong, and shiny! After 2 weeks I noticed a huge change, and haven't stopped using it since! Scent I can't really describe it, but I get compliments for the scent all the time! I was very excited to try this product. I am a redhead by I dye my hair a few shades darker than my natural red hair color. Red hair dye does not last nearly as long as other colors. Generally for me it's 2 weeks maximum and it's back to it's natural red. When I saw this being advertised for color treated hair and that it was sulfate free I was really interested in trying it because having to dye my hair so often is just annoying. I bought both the shampoo and conditioner. Firstly, the smell. What in the world. Both products have a weird minty smell. It's gross. The smell remained in my hair throughout the day and it's just not enjoyable smelling mint all the time. Secondly, it did nothing for extended my hair color. The color faded just as quick as normal. It didn't make my hair feel any more moisturized or anything. It was just like your average conditioner. Don't waste your money. The first time I tried L'Oreal's EverPure line of hair care products was through a box of L'Oreal hair color. Inside the box was a decent size tube of the L'Oreal EverPure Moisture conditioner. I was very excited to see such a high quality conditioner that was actually large enough to last for more than one hair washing. The conditioner smelled pretty and up lifting. The conditioner itself was high quality and not watery at all like some cheap conditioners are some times; it is very rich. I have been coloring my hair for approximately 17 years so naturally it tends to get very dry and brittle at times. Also, even though my hair is colored, the color itself tends to become rather dull over time and lacks that nice shine that most people are looking for in their hair. The moisture conditioner took care of all these problems for me. 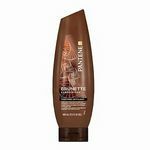 After using it my hair was incredibly soft and in a way bouncy. It flowed nicely, wasn't frizzy at all, plus I could run my fingers through it fairly easily without getting caught in hair. It added a decent shine to my hair too. 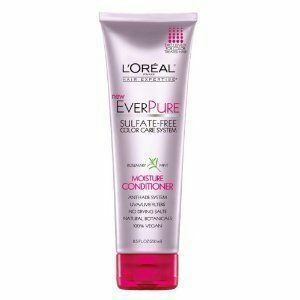 I would definitely say that the L'Oreal EverPure moisture conditioner is a great alternative to expensive salon products. I use this after i get out of the shower. Apply a dime sized amount to my wet hair and let my hair air dry. I bought this because i had just went from a dark brown to a a platinum blonde and needed something to help my hair become smoother and more flowy, at that time it was like having a bale of hay as hair. I love the smell, and it lasted me for two months. And it is great for your hair because it is sulfate free. A conditioner that is very good with knotty hair. I love this product. 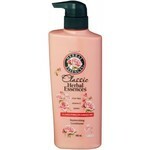 I have very curly hair and it is horrible with tangles but this conditioner get them all out. On the plus side it is also for colored treated hair. It definitely does not strip your color. 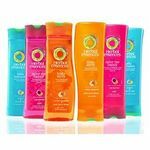 I have tried other conditioners that say their for curly hair and helps with the tangles but none of them really work. i would swear by this product. Effectiveness I leave the the conditioner in my hair for about 5 min then rinse it out and I have not had a problem with my hair feeling dry. Like other conditions I have used my hair feels the same way as it did before I put the conditioner in. This product makes my hair feel silky and it doesn't feel like my hair is going to break. Scent This product does not really have a scent to it, but it does not smell awful either. Honestly you really don't notice the product does not have a smell until you actually try and smell it to see if it does. You like to have a conditioner that smells good this product is not for you . I have been very pleased with L'Oreal Everpure Moisture Conditioner. My hair is thick, dry and color treated, so I must use a conditioner every time I wash my hair. It may be wasteful, but I like to put a little of the Everpure Conditioner on my hair as soon as I wet it to help get any tangles out, then I rinse it out and shampoo, which makes it easier to get my fingers through my hair while I wash it. Then I follow up with a generous amount of Everpure Conditioner, which I leave on while I wash my body and shave my legs, then I rinse the conditioner out right before I get out of the shower. The Everpure Conditioner feels really rich and thick and stays on my hair even when it's wet. Since I've been following this routine, I have experienced less breakage and split ends, and my hair looks and feels healthier. The main benefit of the Everpure Conditioner is supposed to be that it helps protect your hair color. I'm convinced that hair color will fade some with every washing, and my hair is colored red so it fades even faster, but my color seems to last longer than when I've tried other drugstore brands. I wasn't as fond of Everpure shampoo because I couldn't get past the lack of suds, but I feel like I'm still getting some of the benefit by using the conditioner. It is a little more expensive than other drugstore brands, but then getting my hair professionally colored is also expensive. It's worth spending a little more on a product that can help make my hair look better, and I feel like Everpure Conditioner fits the bill. Effectiveness Makes my hair softer and doesn't fade my hair color as quickly as other brands. EverPure Conditioner works well if u can get past the smell. I used a sample packet of **L'Oreal EverPure Rosemary Mint Moisture Conditioner** recently when I had a 'sample' bath night. I used samples I had received for all of my bathing needs, that night. I was surprised to find that I loved the **[Dove Cool Moisture Cucumber & Green Tea Refreshing Body Wash]**, I wasn't at all crazy about the **[L'Oreal EverPure Rosemary Juniper Moisture Shampoo]**, I was crazy about the after bath **[Dove Go Fresh Cool Moisture Cucumber & Green Tea Lotion]**, and I have very mixed feelings about my sample of **L'Oreal EverPure Rosemary Mint Moisture Conditioner**. The sample of **L'Oreal EverPure Rosemary Juniper Moisture Shampoo** had made my hair very tangled and it felt terrible. I couldn't even get my fingers through my hair without pulling out strands of it. It really felt bad. It needed some serious conditioning, the sample of **L'Oreal EverPure Rosemary Mint Moisture Conditioner** was right there, waiting to be used. I was hoping that the scent would be better than the scent of it's shampoo partner, since it was 'Rosemary Mint' instead of 'Rosemary Juniper'. Well, it was not better at all. It smelled like Vick's Vapor Rub as soon as I tore open the little packet. I was very disappointed, because I didn't want my hair to smell like vapor, but I was determined to use the conditioner, so that's what I did. **L'Oreal EverPure Rosemary Mint Moisture Conditioner** was thick and creamy...a very nice texture. I applied it to my hair as directed: *"After using EverPure Moisture Shampoo, apply to wet hair and massage gently. Leave on for a few minutes. Rinse thoroughly. "* My hair was feeling pretty terrible and very tangled after using the **L'Oreal EverPure Rosemary Juniper Moisture Shampoo**, so I left the **L'Oreal EverPure Rosemary Mint Moisture Conditioner** i n my hair for about 10 minutes instead of only a few minutes. Then I rinsed my hair and was very glad that the conditioner had, indeed, made my hair very soft and silky feeling. I had no problem combing it, and when it dried it was soft and shiny. The manufactuer's product description is: "Features extra conditioning ingredients to revitalize dry hair for intense moisture and natural softness.Benefits: Anti-Fade System. Testing shows color lasts up to 32 washes. 100% sulfate-free. Harsh Sulfates, surfactants and salts are shown to dull color and strip moisture from hair. EverPure uses gentle, naturally-derived surfactants for long-lasting color and more moisturized, healthier looking hair. Features both UVA and UVB filters.Contains botanical infusions of rosemary and mint extract for an invigorating, aromatherapeutic experience. Mass distribution makes breakthrough color care technology and luxury formulas affordable and accessible to women everywhere." I would have been very satisfied with L'Oreal EverPure Rosemary Mint Moisture Conditioner; if it had a different fragrance. I would love to have known if it actually preserved the color of my hair. Too bad the very strong scent didn't mellow a little when I rinsed out the conditioner. I didn't like the vapor smell at all, and my husband didn't, either. I will not buy this conditioner based solely on the fact that I really dislike the way it smells, so I will never know if it helps keep colored hair from fading as quickly or not. : http://www.viewpoints.com/Unilever-Dove-Body-Wash-Cool-Moisture-24-Fl-Oz-Cucumber-Green-Tea-review-d6306 : http://www.viewpoints.com/LOreal-EverPure-Moisture-Shampoo-review-df955 : http://www.viewpoints.com/Unilever-Dove-Beauty-Body-Lotion-Go-Fresh-Cool-Moisture-13-5-fl-oz-review-fad92 Effectiveness L'Oreal EverPure Moisture Conditioner moisturized my thirsty hair and made it smooth, soft, easy to comb, and very shiny. Scent In my opinion, this product smells like a vapor rub, and I didn't the it's scent at all. It's very overwhelming and it doesn't smell like I prefer for my hair to smell at all. This conditioner has a lot of pros but too many cons for me. ***Quick View: ***I like the[ shampoo of the same name] but I'm not a big fan of this conditioner. It has the same weird scent as the shampoo and it doesn't seem to condition my hair enough - or well. My hair looks somewhat dull and dry after I use this. ***My Take on L'Oreal EverPure Moisture Conditioner*** This conditioner is sulfate free and designed to help lengthen the time that color lasts as well as simply to condition gently. The 8.5 ounce tube of conditioner is vegan and has sunscreen to protect hair from sun damage. When I use this conditioner, the scent is quite strong and not pleasant to me. It is earthy and almost medicinal. But I wouldn't mind if my hair looked great after I use it. It seems hard for me to get the creamy white product through my long hair and there isn't that "slip" feeling when I rinse my hair. My hair feels rough when wet. When I blow dry my hair, it looks OK but a bit dry and a little bit dull. I'm not sure if it is because** L'Oreal EverPure Moisture Conditioner** doesn't contain silicones or what but I prefer a shiner, softer head of hair. This conditioner is not BAD by any means and I will use what I have but I probably won't repurchase. I like the shampoo with other conditioners and that is how I will use it. ***My Viewpoint*** There is a lot going for **L'Oreal EverPure Moisture Conditioner**. It doesn't strip hair of color and it is gentle with no harsh salts or other harsh ingredients. It isn't animal tested and is vegan. It even protects hair from sun damage. But it doesn't leave my hair as shiny and soft as I like so I give it ***3 stars***. I recommend that you try it because everyon's hair is different. : http://www.viewpoints.com/LOreal-EverPure-Moisture-Shampoo-review-e86a6 Effectiveness My hair looks somewhat dull and dry after I use this. It doesn't leave my hair as shiny and soft as I like. Scent The scent is quite strong and not pleasant to me. It is earthy and almost medicinal. L'oreal EverPure Moisture Conditioner is amazing for Co Washing. I have naturally wavy/curly hair and started trying co-washing to keep my curls defined and moisturized (see naturallycurly.com for info). Co washing is based on the premise using products with sulfates and silicones dry out your hair. Conditioners alone have enough wetting agents to fully clean your hair without drying it out (as long as the conditioner does not contain silicones). If you have seen the Wen hair care infomercials, you have seen an example of co washing. While I use a less expensive conditioner for the washing process (Suave and VO5 are awesome for this purpose), I like to use a rich conditioner for the 2nd step. L'oreal EverPure Moisture Conditioner has been amazing. It leaves my hair so soft and shiny and helps keep my curls from getting frizzy. It also helps prevent damage and color fading due to ultraviolet rays. I have been able to use a small amount as a leave in conditioner without having any greasiness or build-up. Finally, the scent is an incredibly refreshing combination of rosemary and mint. L'Oreal EverPure Mosture Conditioner works great. I recently decided to give this conditioner a try. I have been weary of using shampooing and conditioner systems that have sulfates and detergents simply because it doesn't make since to me to strip away all of the hair's natural oils to replace them with artificial moisturizes. Ultimately hair just gets stripped, dull, and frizzy. I didn't know if this brand would work as well as other high cost brands since it seems pretty affordable. I didn't know if I was going to "get what I paid for." I have been using this product now for approximately three weeks and I am really enjoying it. My hair feels so healthy. I frequently use hot tools and have thin hair so my hair gets damaged very easily. I feel as though this product is strengthening my hair. The smell is very nice as well. It's a natural and easy scent. The only thing I will say in the negative category is that I really must wash my hair every other day or it begins to look greasy. With other products that have sulfates I usually can go three days between washings. It does not bother me to wash more frequently though since my hair is looking so moisturized and healthy.